Published in 1890 by Chapman Bros., this an original 1890 printing. Inside pages are very nice and clean. Cover is worn and split at spine. This an ex-library volume with the usual markings. Name written on flyleaf. This volume consists entirely of numerous family biographies for each county. Also includes numerous full page engravings of individual portraits, farms, and residences. Hardbound, 786 pages with index, large, heavy volume. Note: We also offer this same book in searchable PDF format on our Jackson, Jefferson, and Pottawatomie County, Kansas CDs (the entire book is included on each county CD.) 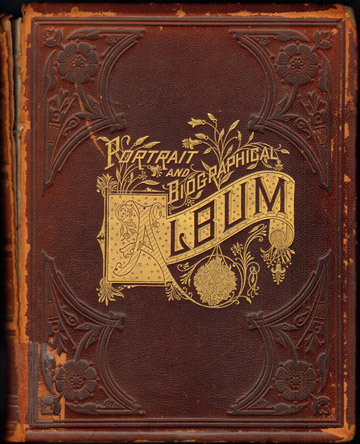 See the Jackson County, Jefferson County, and Pottawatomie County, Kansas CDs for a complete description including a full list of the biographies that are included in this book.